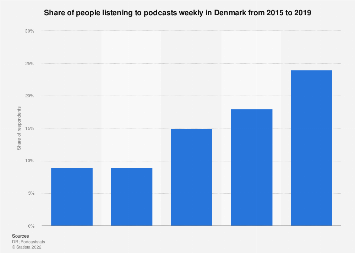 The rise in popularity of podcasts hasn’t gone unnoticed by the advertising industry. 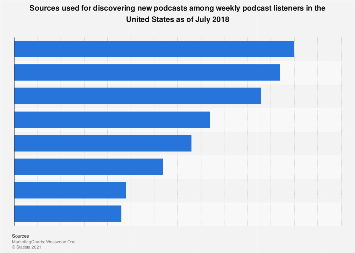 According to estimates by IAB and PwC, podcast advertising revenue in the U.S. will reach $400 million this year and grow to more than $650 million by 2020. 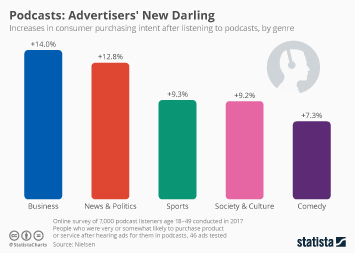 One of the reasons for brands’ growing fondness of podcast advertising is the unique audience they can reach via the increasingly popular format. 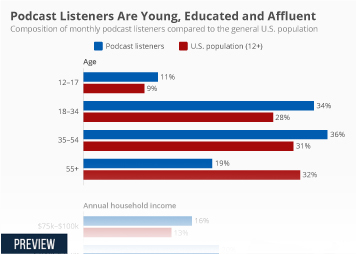 As the following chart, based on survey results from Edison Research, shows, podcast listeners in the U.S. are younger, more educated and richer compared to the general population. 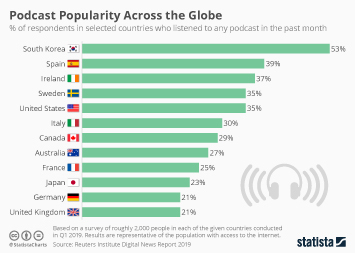 For example, 51 percent of monthly podcasts listeners have an annual household income of at least $75k, compared to just 38 percent of the population. 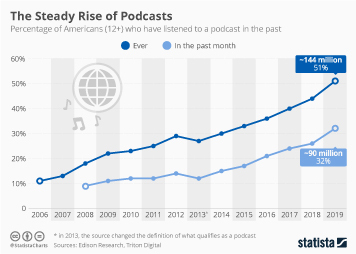 The same holds true for educational attainment: 61 percent of podcast fans have completed at least 4 years of college, compared to 44 percent of the entire population. 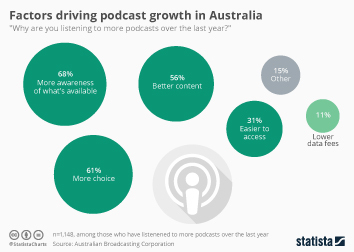 Podcasts give brands a chance to get their message across to an attractive audience that is otherwise hard to reach and to do it in a way that is personal and feels less intrusive than other forms of advertising. 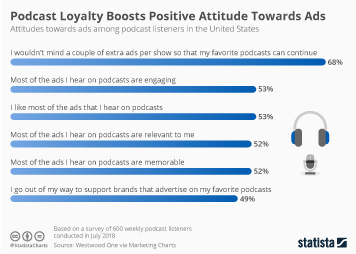 Most podcast ads are read by the host, which has the positive side-effect of projecting the host’s credibility onto the advertised product/service. This chart shows how podcast listeners in the U.S. compare to the general population in terms of age, income and educational attainment.